Construction at The Summit Club, Summerlin’s ultra luxury community, is taking shape and the first residents are expected to move into their homes in the spring. Construction at The Summit Club, Summerlin’s ultra-luxury community, is taking shape, and the first residents are expected to move into their homes in the spring. Tony Renaud, the vice president of sales and marketing for The Summit Club, a joint venture between Discovery Land Co. and the Howard Hughes Corp., said there are 10 homes under construction and another dozen that are going through the design-review process and soon will start construction. Some 87 of the 146 custom lots at The Summit Club have been sold. The lowest-priced lots are selling for more than $3 million, and the higher priced ones with views of the Strip and Red Rock Canyon are going for $10 million. The 555-acre development sits on an elevation between 2,800 to 3,100 feet. The homes, which owners custom build, will range from 8,000 to 30,000 square feet. The construction costs are expected to be as high as $1,100 to $1,200 a square foot, Renaud said. With the custom home lots, buyers have to option to buy a bungalow or villa whose construction is scheduled to start by early February near the fifth green. Condominiums are available for sale in the clubhouse, where construction is expected to start in May. Some 14 of 30 clubhouse suites and 15 of 84 bungalows have been reserved. The Summit Club is going to be great for the luxury market in Las Vegas, according to Kenneth Lowman, broker and owner of Luxury Homes Las Vegas. 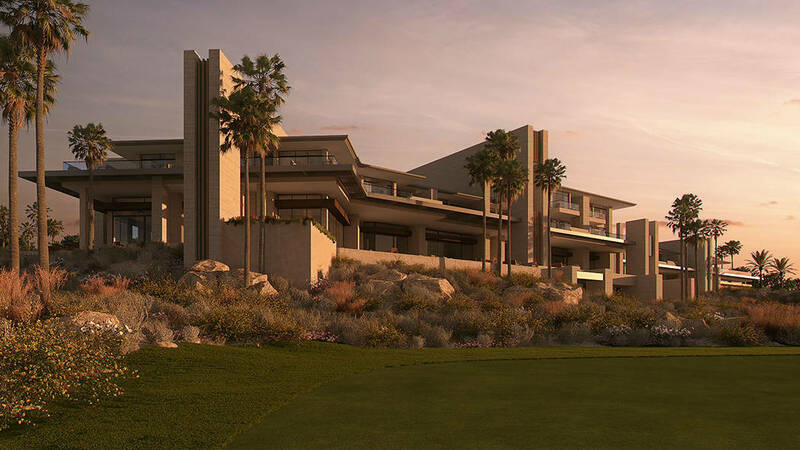 Lowman said the lot prices of $3 million or more at The Summit Club shows buyers at the next level that lot prices at developments such as The Ridges in Summerlin are a good value. “Having that one higher luxury niche level helps the general luxury market,” Lowman said. 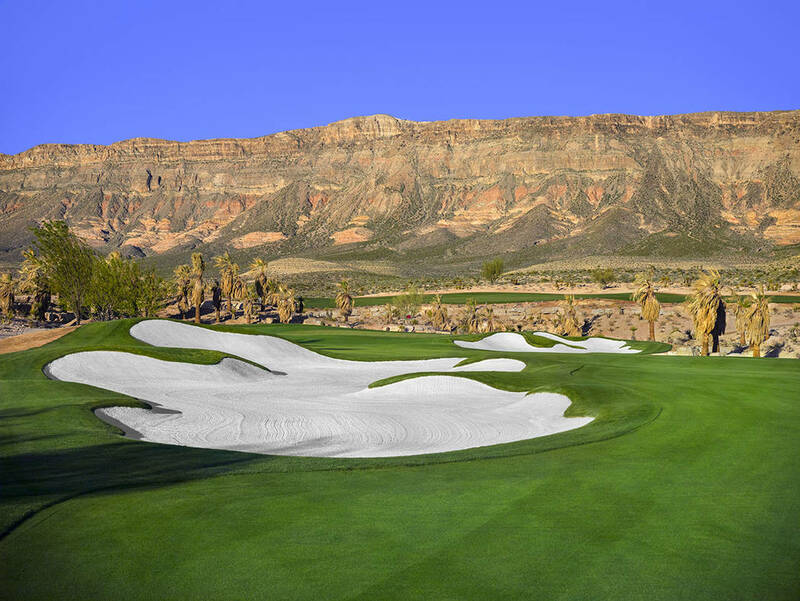 At The Summit Club, the championship golf course designed by famed golf architect Tom Fazio was completed a year ago and opened in October. The custom homes will be situated on ridges between 15 and 40 feet above the golf course so as not be in the pathway of golf balls, Renaud said. The building heights are limited to 28 feet for two stories and 22 feet for a single-story as a way to preserve the views. Renaud called The Summit Club residents a “very solid base” of Las Vegas buyers that are the “movers and shakers” of the community from business owners and executives to retirees. It’s expected to include athletes and entertainers too. Most of those from out of state are from California or Washington. The Summit Club will have restaurants, a fitness center, spa, tennis courts and a kids camp among its amenities. There will be opportunities for residents to do activities at Lake Mead and Mount Charleston. The tennis courts and tennis facility should be completed by the end of the year. The permanent golf pro shop and teaching bays and dining area on the range are expected to open in the fall. Construction on the clubhouse expected to start in May will take 22 to 24 months to complete, Renaud said. It was initially scheduled to start in 2017, but there have been “tweaks” to the project, and the Clark County permitting process takes time, he said. “We would like to be a little quicker, but we are at the mercy of the county in terms of permits, but for the most part, we are on track,” Renaud said. The number of condominiums in the clubhouse has been reduced from 32 to 30, and there has an increase in amenities such as the spa and treatment areas, Renaud said. The clubhouse also has a restaurant, pool, gym and women’s salon. “Our amenities are phenomenal,” Renaud said. “We have tweaked them a little bit, and we’re excited. We have the same list of amenities we have always offered from outdoor pursuits such as hiking and biking and shuttles that go back and forth to the Strip and outlet malls, to Lake Mead in the summer for boating activities, and to Mount Charleston for snowboarding. Plus, with what we offer with our kid’s center and movie theater in the main clubhouse, it really is a full-service facility.”The clubhouse condos will be as small as 1,285 square feet and go as large as 4,611 square feet. The prices still start at $2.5 million and go as high as $12 million. The clubhouse measures 165,000 square, and there are more than 60,000 square feet for the restaurant, spa and other amenities. The cost was estimated to be $90 million, but that will surpass $100 million, Renaud said. “The market is hot, and construction costs have gone up quite a bit since we first hit town,” Renaud said. The 84 bungalows and cottages have not changed in size and range between 3,200 and 5,300 square feet. The costs start around $3.5 million and go as high as $7 million to $8 million, Renaud said. As planned, membership in The Summit Club rose from $150,000 to $200,000 on Jan. 2. The dues are $27,000 a year, and $30,000 a year when the clubhouse opens. The homeowners association fees are $15,000 a year and started when the roads were paved in 2017.